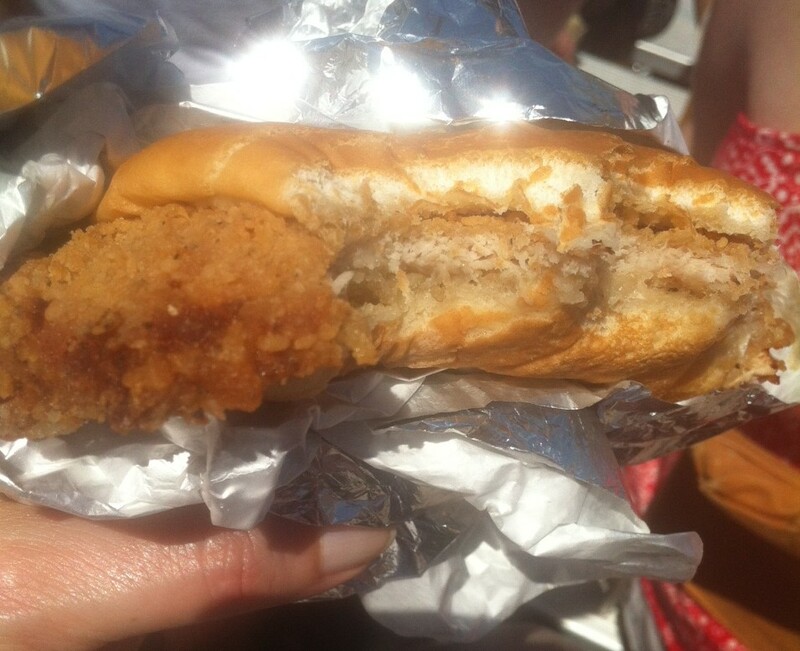 But once a year, at the Indy 500, I indulge in a tenderloin sandwich. Mike and I actually held out a full 100 laps this time before making our way to the food stand. Considering Mike first brought it up after the third lap, this shows remarkable restraint. Our reward for waiting in a lengthy line was being able to watch as our tenderloins were pulled from the deep fryer, placed on white buns and wrapped in foil. In Mike’s words, disgustingly delicious. If a recipe for tenderloin sandwiches exists on the Internet, I don’t want to find it. We both realize that we’re far better off eating our pork tenderloin grilled with a side salad — that is, until next race day.